An Alnwick man will face trial later this year after pleading not guilty to attempted murder. But Brett Fenwick, 35, of Lower Barresdale, did plead guilty to one of the wounding with intent charges against him during the hearing at Newcastle Crown Court this morning. Blaine Fenwick, 24, of Lower Barresdale, pleaded not guilty to two charges at the same hearing and will also face trial. 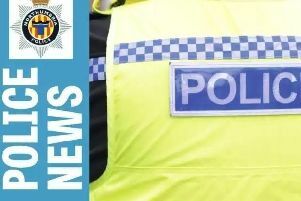 The crimes they were accused of during the hearing are alleged to have taken place on Howling Lane, Alnwick, in the early hours of Thursday, December 27. Appearing via video link from HMP Durham, the two men confirmed their name, date of birth and nationality before entering their pleas. They both pleaded not guilty to a joint aggravated burglary charge in relation to alleged victim Gareth Mallaburn. Brett Fenwick pleaded not guilty to wounding Mr Mallaburn with intent and then not guilty to the charge of attempted murder of Louise Pearce. He pleaded guilty to the charge of wounding Louise Pearce with intent and also admitted the charge of possessing a bladed article. Blaine Fenwick pleaded not guilty to the charge of possessing a bladed article. A trial for the charges that have been denied has been listed to start on June 17. The court heard that the estimated trial length is five days. Both men were remanded in custody and their next court appearance – a case management hearing – is due to take place on May 30.